Welcome to Costa Blanca Property Portal, we strive to give you everything you need to buy, rent or sell Costa Blanca Property. With close to 1000 Properties for sale in Costa Blanca, updated daily by reputable and trusted Costa Blanca Estate Agents, our Costa Blanca Estate Agent Directory, and regular articles and news, we make it easy	to find your dream Costa Blanca Property. 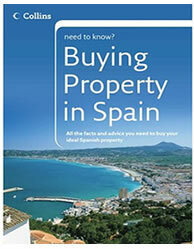 Costa Blanca Property is among the most popular with overseas property buyers and investors. With more then 200km of coastline, and towns offering everything from bustling mediterranean cities, quaint fishing towns and picturesque villages, the Costa Blanca has something to offer everyone. More hours of sunshine are enjoyed on the Costa Blanca than anywhere else in Spain – It’s no wonder Costa Blanca Property is a firm favourite amongst property buyers and holiday makers alike. Javea has received much attention recently with property buyers looking for proportionally more Javea Property for Sale then other costa blanca towns. Property for sale in Javea is known for its exclusive setting, nestled between Denia to the north and Moraira to the south, and can be slightly more expensive then its neighbours, Javea property is particularly attractive for family’s and investors looking to rent their property. We have a great selection of Javea property for Sale, which is constantly updated by a range of Estate agents in Javea. Moraira is a small town situated just south of Javea. Property for sale in Moraira is again popular with families and investment companies. Moraira has easy access to several excellent golf courses, and a beautiful sandy beach. Moraira Property tends to be a little lower priced then Javea, but is gaining steadily, making Moraira Property for sale an excellent investment opportunity. We have a range of property for sale in Moraira, and work with some very reputable Estate Agents in Moraira so please search our property listings and get in contact!. Designed and Powered by Advance Agent - Estate Agency Software. - Copyright © 2006-2019 CostaBlancaPropertyPortal.com, All Rights Reserved.